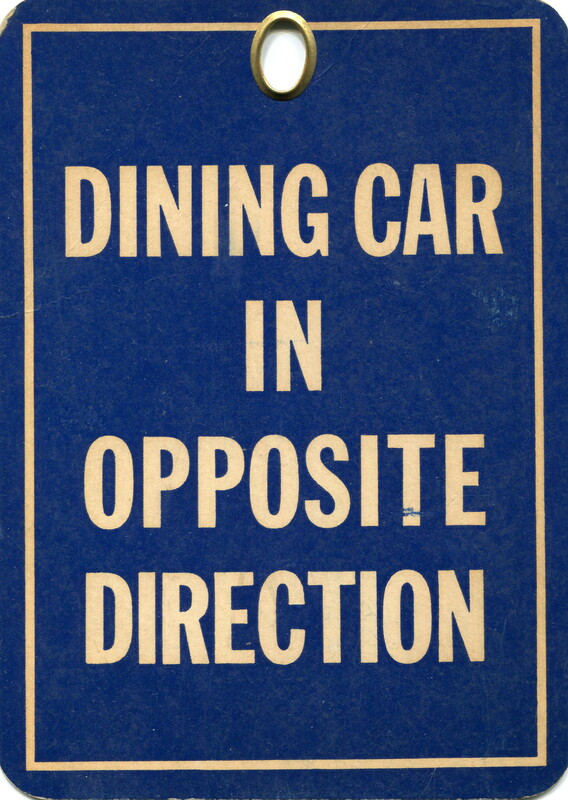 Standard informational card placed throughout the train to best direct passengers to the dining car. Same card was utilized by several railroads. This one "borrowed" from City of LA in 1960's.